Bowflex is a fitness brand headed under Nautilus Inc, the brand Bowflex launched in 1986 and specializes in a whole range of exercise and fitness equipment such as cardio machines, home gyms, adjustable dumbbells and weight benches. 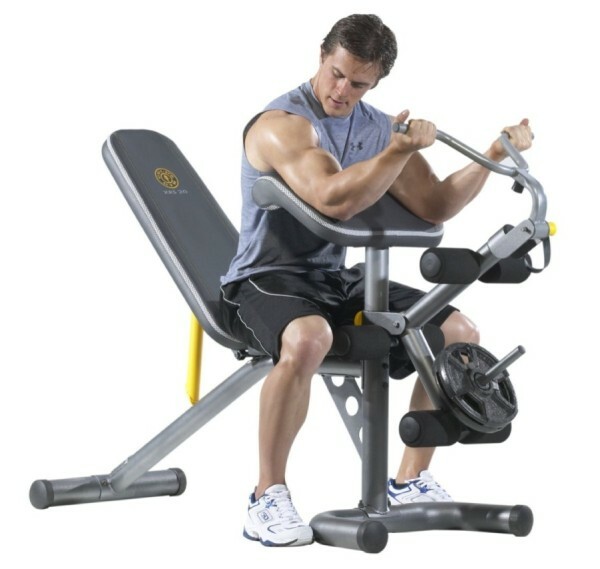 Nautilus Inc has over 40 years in the health and fitness industry and has several unique brands which is why a lot of the Bowflex products are the best sellers on the market. 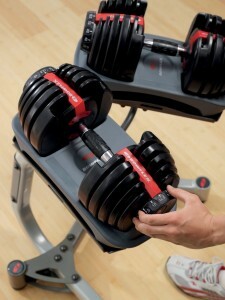 Each dumbbell adjusts from 5 to 52.5 lbs, adjusts in 2.5 lb increments up to the first 25 lbs. Equivalent of combining 15 sets of dumbbells into one set. 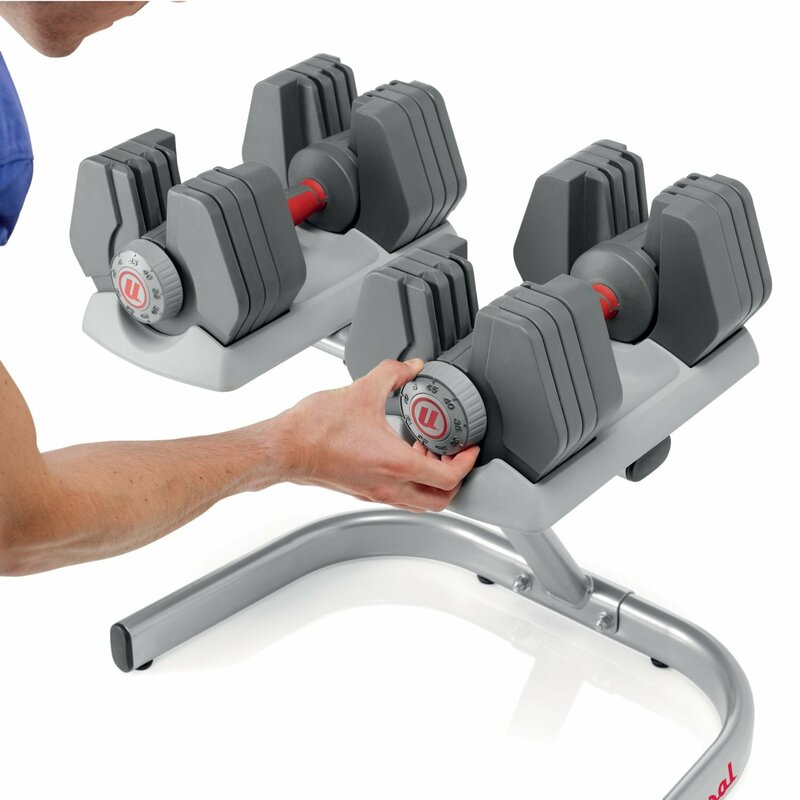 Saves space by eliminating the need to have excessive dumbbells. Hand grips are covered by rubber, making it more comfortable and less likely to slip. Dimensions: 15.75″ L x 8″ W x 9″ H.
The adjustment settings which allow small increases in weight is practical for gaining strength. Compatible with the kettle grip, which converts one of the 552s into kettlebell. Quite fragile, the dumbbell has a lot of plastic and is not designed to be dropped. 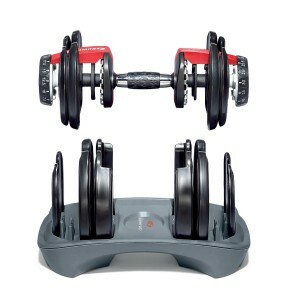 Consider the Ironmaster Adjustable Dumbbells if you need something more solid. Some may find these dumbbells quite bulky. 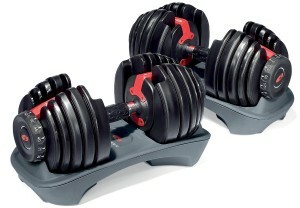 The Bow flex SelectTech 552 dumbbells are a worthwhile investment! You can use these for so many different exercises because the dumbbell weight settings increases in small increments, these weight settings are likely to be sufficient for such exercises. 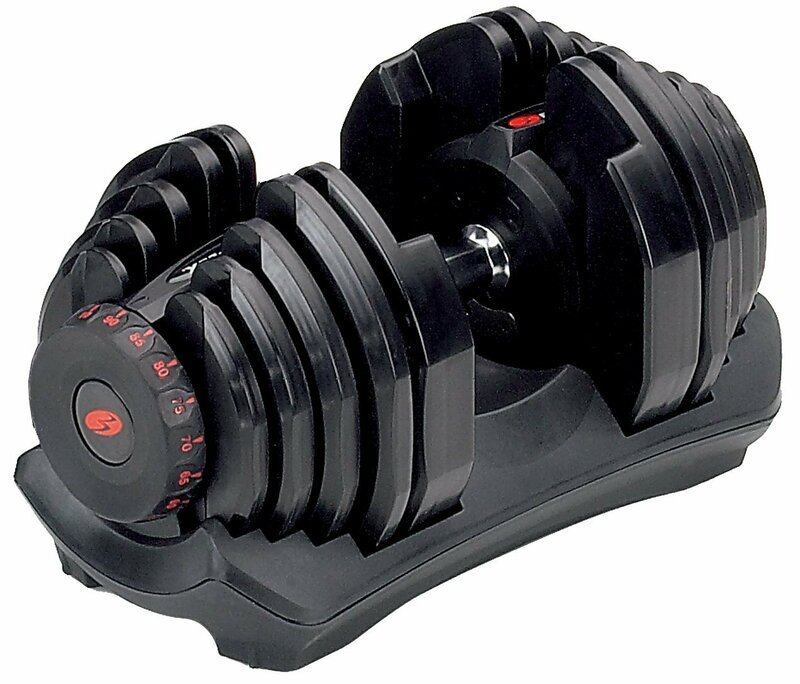 If the maximum weight setting of 52.5 lbs still isn’t heavy enough for you then take a look at the Bowflex SelectTech 1090 Dumbbell, this increases up to 90 lbs. 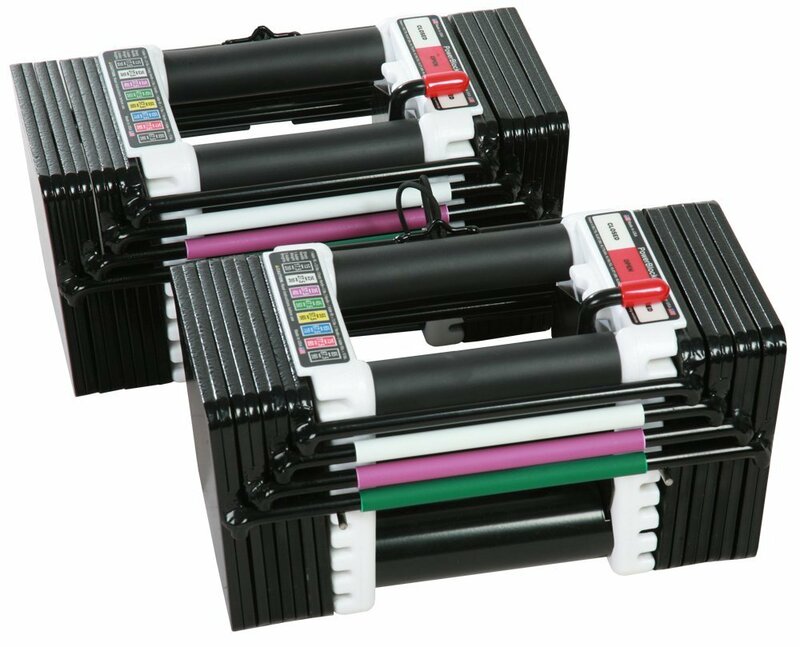 The length of the Bowflex SelectTech 552 dumbbells can potentially be an issue, the length doesn’t change regardless of what weight setting you have it on, unlike the Powerblock Elite 50’s which decreases in overall size when you have it on a lighter weight setting. This may prevent you from gaining your full range of motion when performing certain exercises, or the dumbbells may bash together when doing exercises such as shoulder press. Although the Bowflex SelectTech 552 dumbbells can be quite fragile, you shouldn’t be dropping the weights from a distance anyway. If you apply the correct technique your exercises should be well controlled and this shouldn’t be an issue! 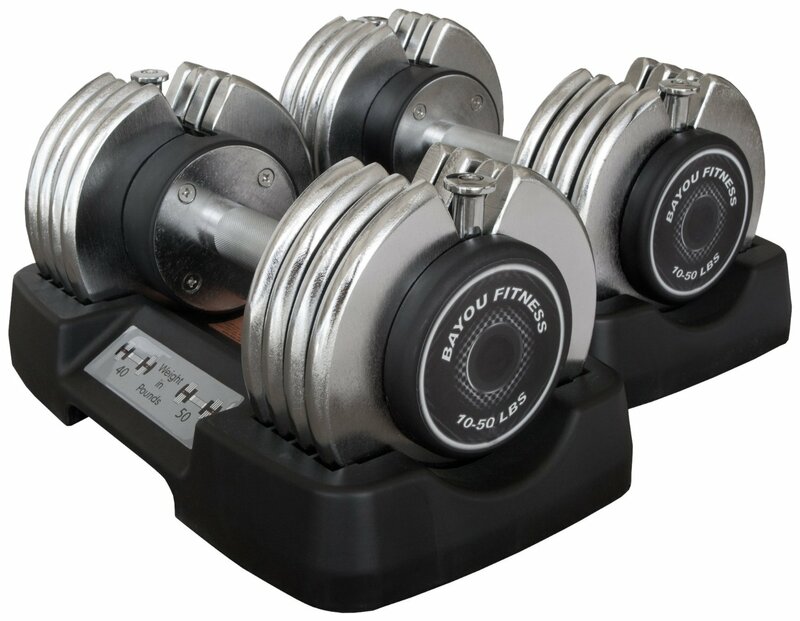 As these dumbbells has 15 weight settings it would actually be cheaper to buy these as opposed to buying the dumbbells individually. 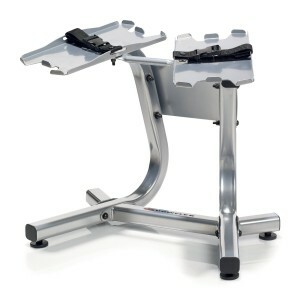 Don’t forget to check out the best adjustable workout benches to go with your dumbbells.